A. Am I qualified to Start a Business? What are the signs of an naive, clue-less Entrpreneur? a) Asking for an NDA. b) Trying to raise VC $$$ before you have a product or customers. c) Having fights with Partners in the first year. [Fire them or split before anything gets out of control] d) Having a PowerPoint that doesn’t show possibility – that there is a small chance of 100x return on money. e) Rejecting a Cash offer for your company, when you have almost no revenues. Consider it seriously. What are the signs of a professional Entrepreneur? a) Selling every day, every minute. b) Cutting costs every day. c) When you have zero revenues, staying focused and coming up with new market to try. d) Saying “yes” to any meeting at all with someone who is an obvious winner. e) When you have a $M in revenues, staying focused and look for new products, new markets. B. When should I start a Business? Should I quit my FT Job to start a Business? Not if you can help it. Hang on to it as long as you can. A new business takes months or longer to get to the Break-Even point and start earning more $$$ than expenses. I have lots of ideas. How do I pick the right one? Research as many ideas as possible to find out what’s feasible. Your intuition will tell you the best idea. Start with that one. Once you get it scaled up, consider the next best idea. When should I give up on my idea? When you can’t generate revenues, customers, or interest in a few months. 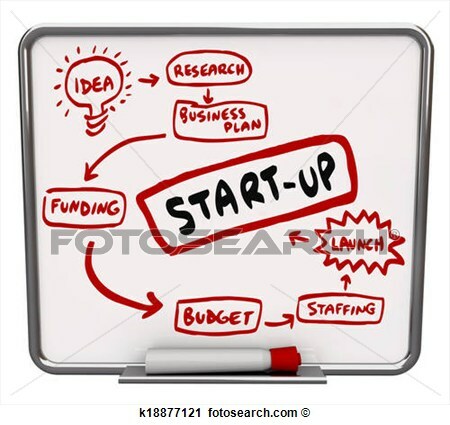 C. How should I start a Business? C Corp or S Corp or LLC? C-Corp if you ever want to talk to Investors or sell to another company. Cooperate. Incorporate in Delaware – if you’re truly aware. D. How do I Grow my Business? How do I grow my Customers? The best Customers are old Customers that trust you. Think of new or modified products or services to offer old Customers. What’s the best thing to do for a new Customer? “Under Promise & Over Deliver”. Solve their tuff problems; meet their hardest need. E. How do I Market my Product? Should I do Market Research? Absolutely – to find one or more customers that may need your product. Set up a meeting. See if it meets their needs. If not, use their feedback to modify it and it’ll probably suitable for many more customers. Should I build a Product? Maybe. But first see if potential customers want your concept. Can you provide it as a service? If not, then productize it. Too many entrepreneurs build a product, then find nobody wants it. Should I give Product away for free? Yes, but only for a free Trial to get feedback on what they think. How do I prepare for a Meeting with a potential Customer? Get to know everything about them – products, services, competition, size. What is the best Email Marketing? a Highly targeted Email Marketing written by professional copywriters, and an Email list made up of people who have bought similar products in the past six months. Should I hire a PR firm? No. Read about & do Guerilla Marketing. DIY first. When you’re too busy & can afford – hire. Should I hire a Sales & Marketing? When you have plenty of Cash Flow and need professional help to get to the next level. What do I do in a B2C business? Release new or modified Product as fast as possible. Add new features every frequently. Always be trying to improve. What if my Customer asks me to do something beyond the Scope of my Products or Services? Consider whether you can eventually profit from it. My Customer called in the middle of the night. Should I tell them to respect my boundaries? No. When you start, you no longer have any boundaries. You’re desperate for business and will do whatever it takes. Should I spin off this unrelated Idea into a separate business? No. Make one business great first. Throw everything in it. Do new DBAs to identify new ideas. What if nobody seems to be buying my product? Then ask knowledge-ables in your Network what they think of it. If you can change it with a reasonable effort, then go for it. If not, look for another Product idea. G. How to “run” my Startup. Should I patent my idea? Get customers first. Patent later. Don’t talk to lawyers until the last possible moment and you product is set. What should the CEO’s Salary be? If funded, > 2x your lowest employee. If not funded, Salary should be Equity – until your Revenues can pay your salary. If I made a mistake. Should I tell the Customer? Yes. Tell him everything that happened. You’re his partner. Not the guy that hides & lies. I undercharged. What should I do about it? Nothing. Charge the next Customer more. Should I care about Margins? Care about Revenues first, then when you got a good Cash Flow, figure out what Margin you can get away with. Should Founders Vest? Yes, over a period of four years. In any change of control, the vesting speeds up. Should I have a technical Co-founder if I’m not technical? No. If you don’t already have a technical Co-founder, you can always out-source technology and not give up equity. Should I Barter equity for Services? No. You get what you pay for. If a Customer wants me to hire their friend or they won’t give me the business (e.g. like a bribe) What should I do? Always do the ethical thing: Hire the friend and get the Customer’s business. What do I do when a Customer rejects me in a B2B business? Contact in a month, then 3, 5, 7. If no go by then, look for someone else. Should I get an Office? No, not until have (+) Cash Flow and need the space. Should I pay Taxes? Avoid it like the plague. Re-invest your money to grow your business – as fast as possible – once you have enuff to meet your needs. Then look for ways to give back. When should I Fire an Employee? a) when they don’t over-deliver constantly, b) when they talk badly about a Customer, c) when they have an attitude, d) when they’re creating dis-harmony. When should I give a Raise? Minimize this until you can afford or another is trying to steal them. Most want words of appreciation, more than $$$. How much do Board Members get? Nothing. They should all be Investors. If they aren’t an investor, then 1/2 of 1 %. What if one Customer is almost all of my revenues? Treat them extremely nicely – B’day, Xmas, Anniversary Gifts – but look for other Customers. “Don’t have all your eggs in one basket”. Should I give employees Bonuses for a job well done? Only if you have plenty of $$$. Otherwise, them gifts. What should I do at Christmas? Give Customers & Employees each a Gift Basket. Should I hire a professional CEO? When you have plenty of Cash Flow and want to devote your time to creating new or modified product. Should I expand Geographically as quickly as possible? No. Get all the business you can in your local area. Travel is too expensive $$$ & time-wise. What’s the best way to Value my company? Ask yourself (no BS): How much would it cost to re-create the technology, services, brand, & customers you have already built. Then 4X it and see what people would pay. Should I require VCs to sign NDAs? No. Nobody is going to steal your idea. Most of it is still in your head. How long does it take to raise Money? With a Great business idea, a few months. With a Mediocre idea, forever !!! How much dilution is too much dilution? If someone wants to give you money, take it. The old saying, “100 % of nothing is worth < 1 % of something” is true. Should I go for VC $$$, then quit my job? Larry Page stayed in Graduate school for an entire year or so after he started Google. Woz stayed at HP, because he didn’t want to give up his steady income until Apple got going. Should I negotiate the best terms with a VC? No. Pick the VC you like. Times are going to get tough at some point, and you need to be able to have a heart-to-heart with them. I personally need money. Should I borrow from the business? Only if the business can survive for another six months no matter what. My Investors want me to “focus” on my one Product. Should you listen to them? No. Diversify in every way you can with new or modified product to increase your probability of success. Once you show them the results, they’ll go along with you. I’m starting my business, but I have a Relationship. What should I do? Choose which is more important to you or learn how to compromise. My wife/husband thinks I spend too much time on my startup. What should I do? Get them involved, divorce them or sell your business. Comments: Are there any thing else that an Entrepreneur should know before they do a startup?